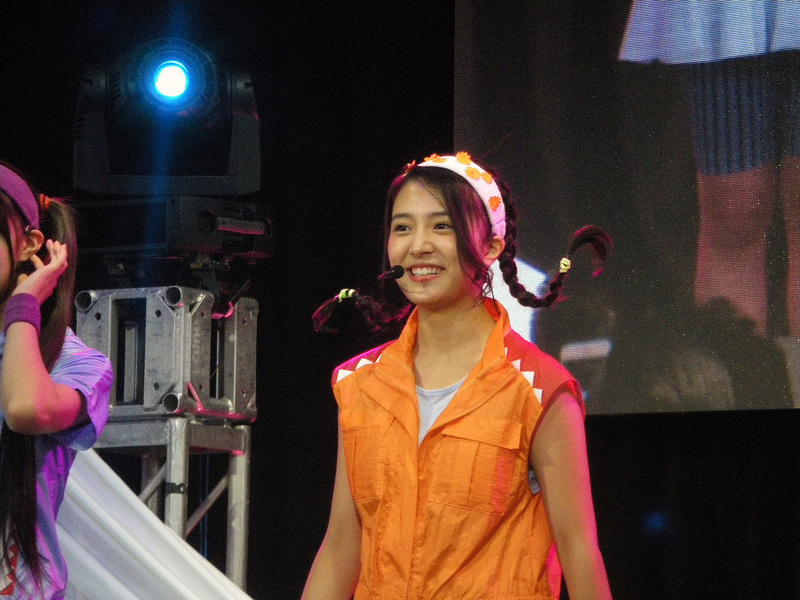 The continuation of Tokyo Performance Doll visited in San Francisco for a date with the eighth J-Pop Summit. The performances on this weekend held special importance as the late-July weekend would mark the US debut for the storied idol group. 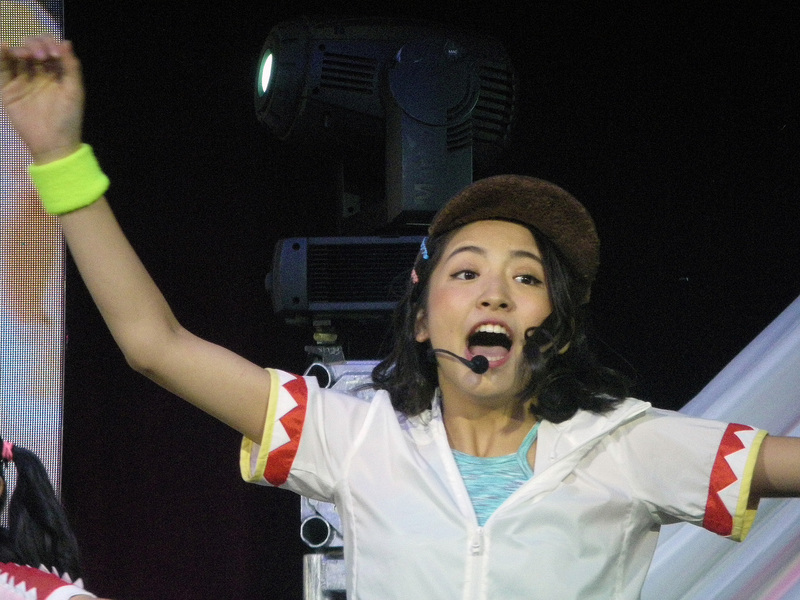 The nine girls probably had the most difficult schedule of all performers as they juggled duties as both Tokyo Performance Doll- the idol group, and Tokyo Performance Domo- the NHK World ambassadors. 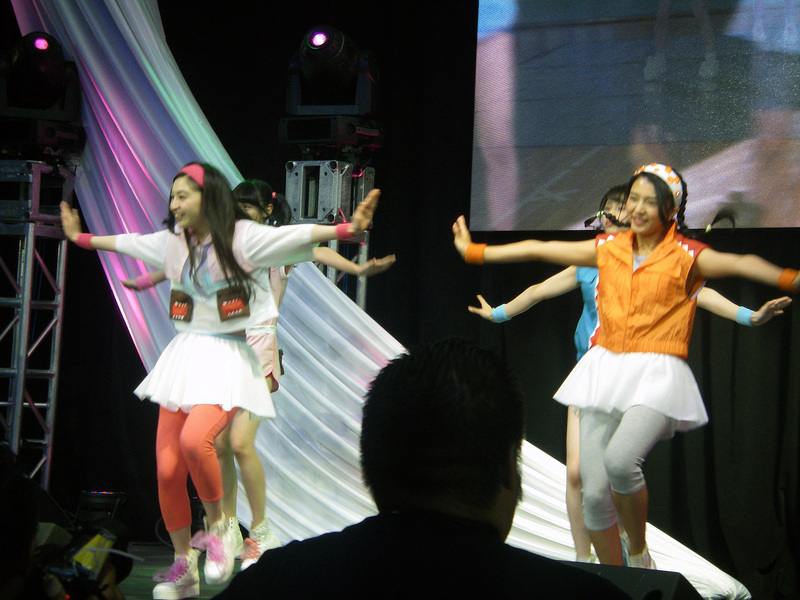 Whether or not the general festival attendees were aware, everyone heard TPD’s “Tokyo Performance Domo” song on repeat. 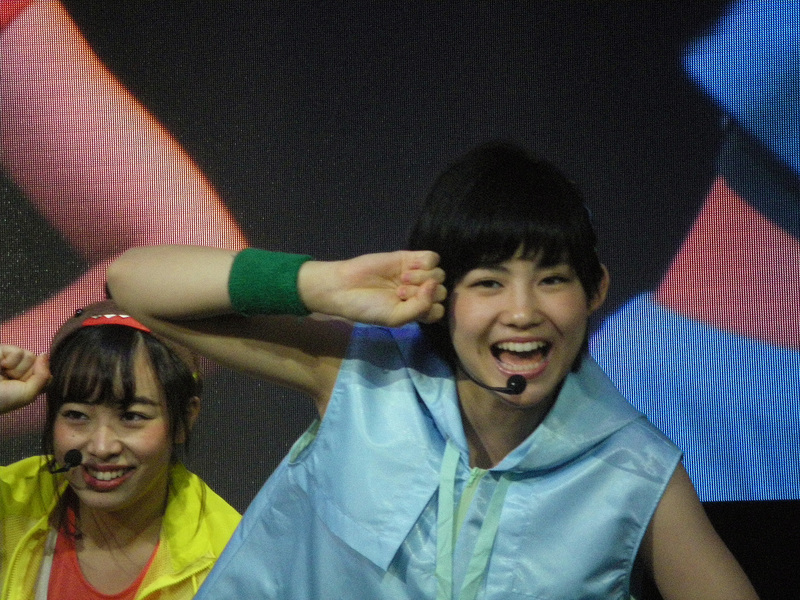 In fact, during one TPD appearance at NHK, the song blasted over the main stage loud speakers 100 yards away as the group prepared to perform the song live. 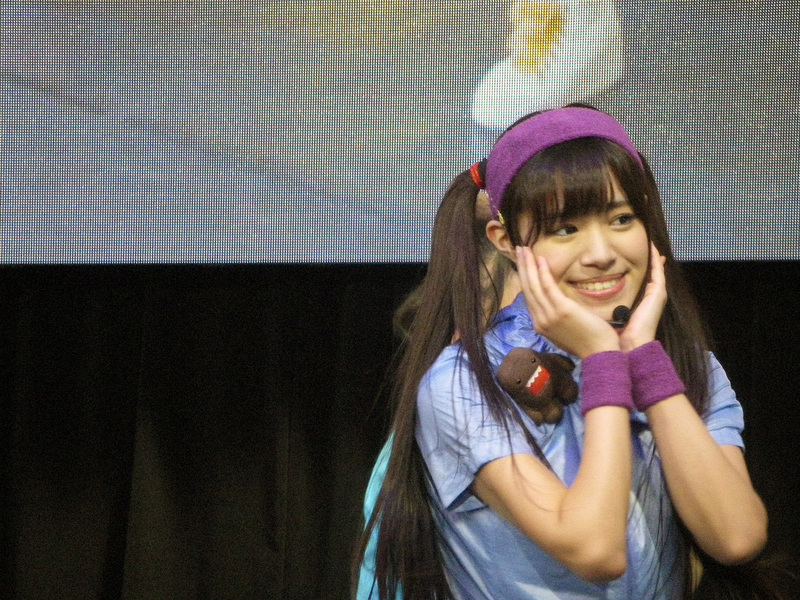 How did the girls of Tokyo Performance Doll fare with J-Pop Summit? To play a bit of catch up, Tokyo Performance Doll first became active in 1990 with a lineup philosophy inspired by Onyanko Club. After successful singles, subgroups, sister groups in Osaka and Shanghai, solo singles, and performances at Budokan and Yokohama Arena (sound familiar?) the original incarnation of Tokyo Performance Doll ceased activities in 1996. Following years of inactivity, the group found itself revived in 2013 with a new lineup of 10 girls, each of whom successfully passing an audition of nearly 9000 girls. Jonishi Seira (cousin to NMB48’s Jonishi Kei and Jonishi Rei), Sakurai Saki, Hamasaki Kaho, Waki Akari, Iida Sakurako, Shingu Saki, Kobayashi Anyu, and Tachibana Futaba are led by the 19 year-old Takashima Nana. This revived nine-girl lineup (member Minami Sana left the group before their first single) of Tokyo Performance Doll are set to release their 5th single “Junai Chaos” on August 17, 2016. None of the history particularly matters when you just consider the nine girls are an idol group from Tokyo fighting for visibility in the incredibly saturated idol market. Tokyo Performance Doll should have an edge capturing the global idol market. 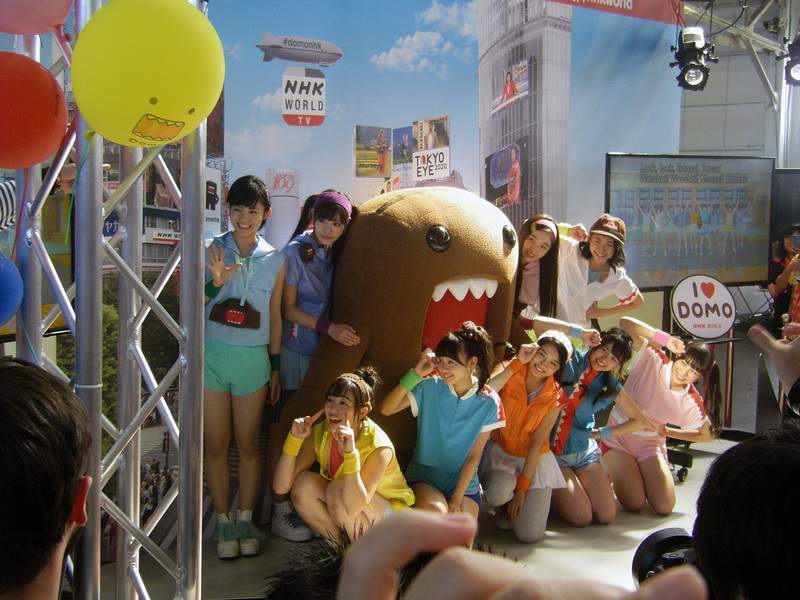 The girls currently serve as ambassadors for NHK’s worldwide “NHK World” service with their alter-ego group, Tokyo Performance Domo. TPD’s “Domobics” song serves dual duties by spreading NHK World’s service and providing a fun, Takahashi Taku (m-flo) penned soundtrack for morning exercise routines. The promotional video for “Domobics” is particularly fun and shows us Domo wrestling each of the nine TPD girls to the ground. 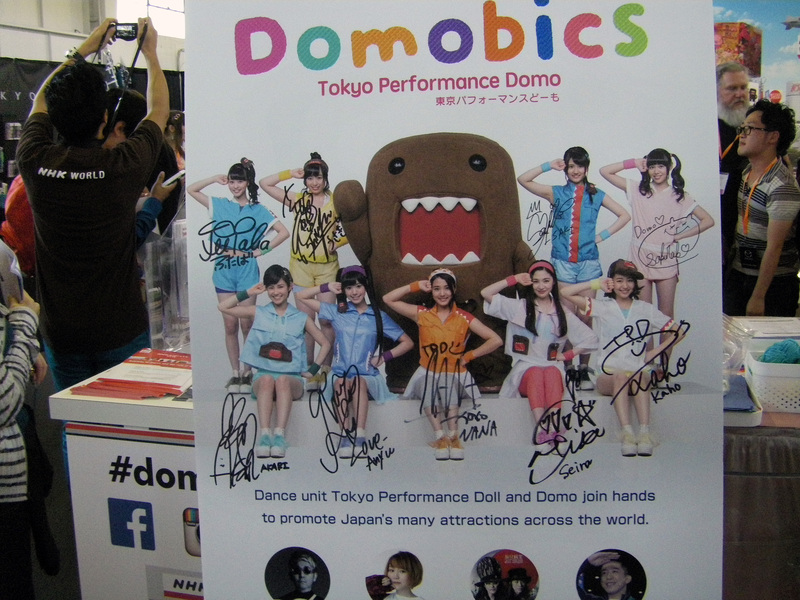 Tokyo Performance Doll opened both mornings of J-Pop Summit 2016 with a live performance of “Domobics”. 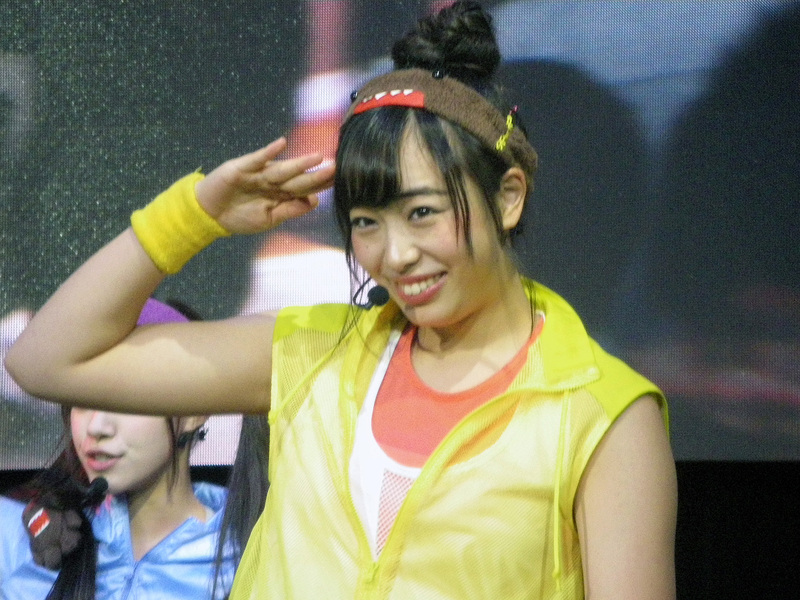 Clad in the workout gear seen in their PV, the girls nervously greeted the crowds of unsuspecting attendees with smiles and waves. 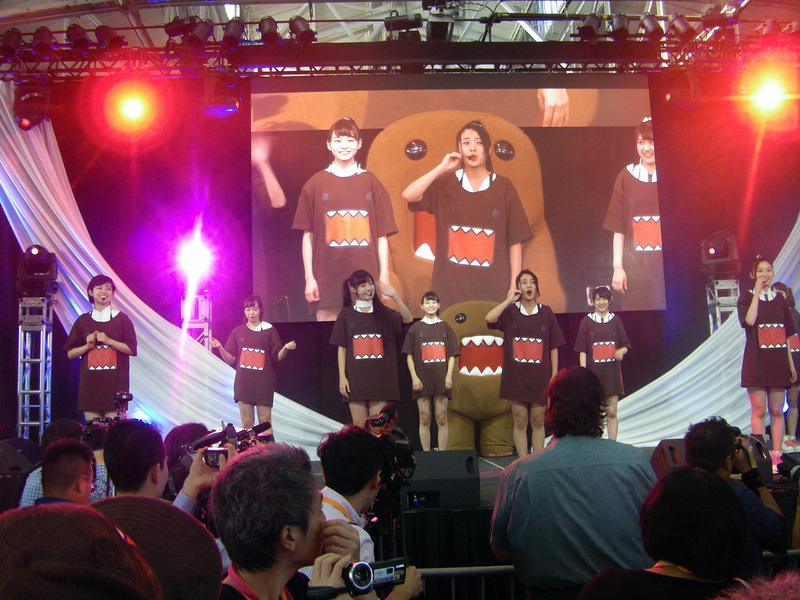 Domo, the brown block of an NHK mascot, stood onstage with the girls and the festival MC, Stephen Chun. 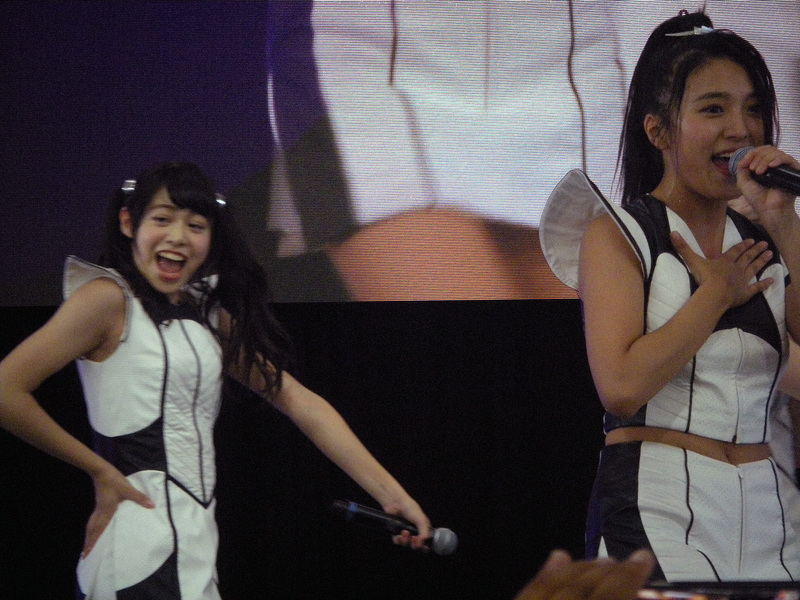 Then, Tokyo Performance Doll unleashed their secret weapon. Nana Takashima is fluent in English. I do not mean that Nana can spit out a few set sentences like “My name is Nana” or “I am a pen”. Nana translated for the group and spoke directly for Tokyo Performance Doll in a natural voice with an almost imperceptible accent. If you think this does not make a difference, you should think again. 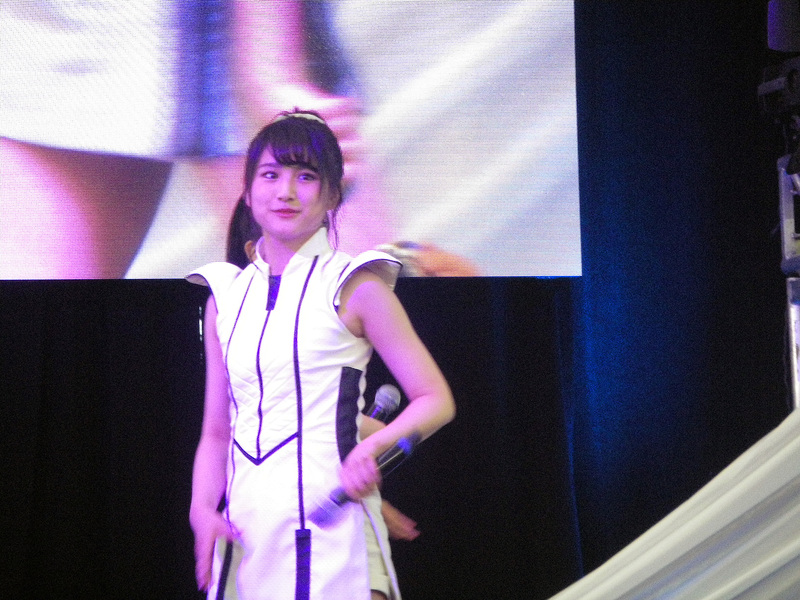 Nana’s fluency gave Tokyo Performance Doll the kind of immediacy and accessibility for which most groups would kill. 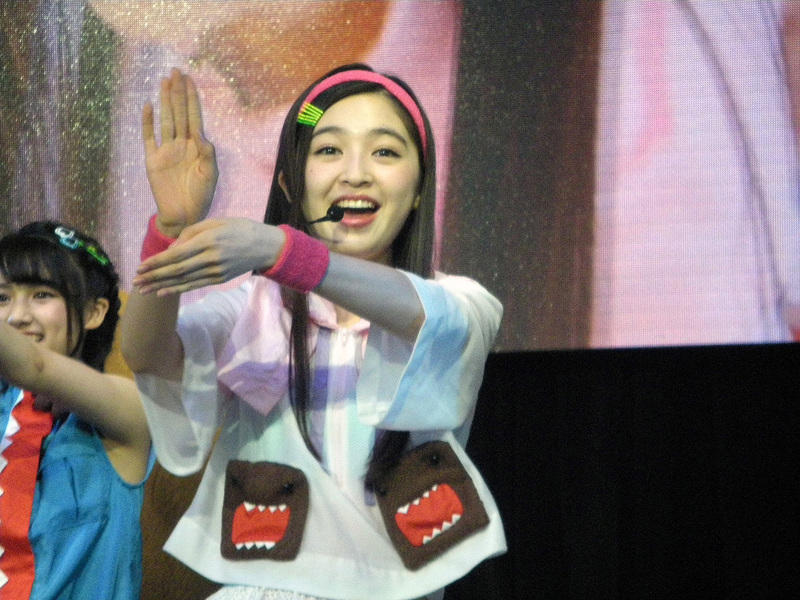 Whereas festival-goers greeted the group with a cautious skepticism, TPD won over most of J-Pop Summit before Nana even sang her now-trademark line: “Let’s do the DOMOBICS”. Over J-Pop Summit’s two days, Tokyo Performance Doll would performance “Domobics” on both mornings, appear at the NHK booth for more Domobics four times, participate in a Meet & Greet / photograph opportunity on Sunday, and perform on the Main Stage on Saturday night. If this was not enough accessibility, attendees spotted the girls exploring the festival grounds on multiple occasions. Of all the performers invited to the J-Pop Summit 2016, no group was busier than Tokyo Performance Doll. 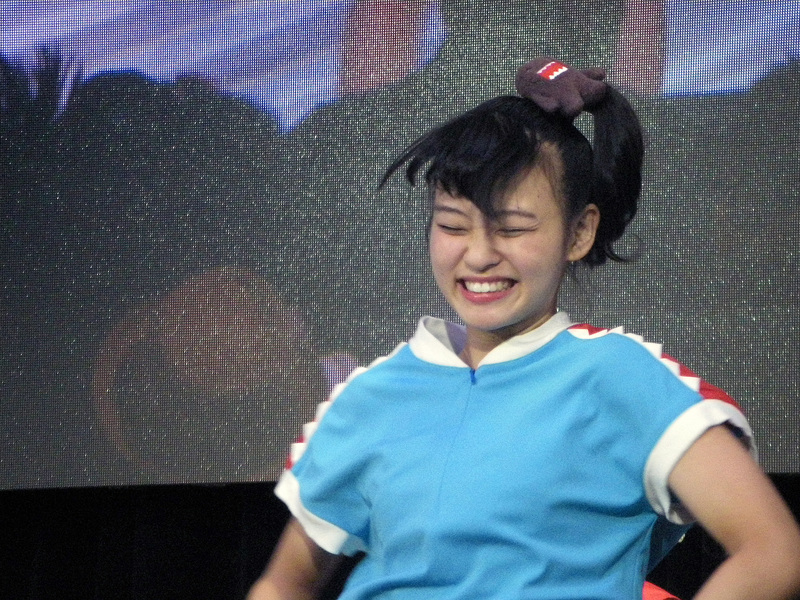 Saturday’s 5:40pm scheduled time at the Main Stage approached, and I could feel a bit of tension in the air: what if the idol group Tokyo Performance Doll were nowhere near as compelling as Tokyo Performance Domo? With Sony’s block of TPD videos to the US, most of us had only heard the two songs uploaded to the J-Pop Summit website, “Brand New Story” and “Dream Trigger” (if at all). Smoke filled the stage, the music started, and an introduction video brought each girl out individually to give them all a few moments of spotlight. Tokyo Performance Doll opened their performance with the energetic and cool re-debut single “Brand New Story”, and seemed to win their audience all over again. TPD lit up the audience with their smiles despite the cool nature of the songs. Tokyo Performance Doll seemed to be in motion constantly with diminutive changeovers between songs and well-choreographed routines that highlighted the girls’ dance abilities. In a particular highlight, the girls took out pen-sized flashlights and used the member-color keyed lights as part of their choreography. The group shone with a well-polished and rehearsed set that transitioned from re-arranged versions of 1990’s era songs to a performance of their soon-to-be-released single, “Junai Chaos”. 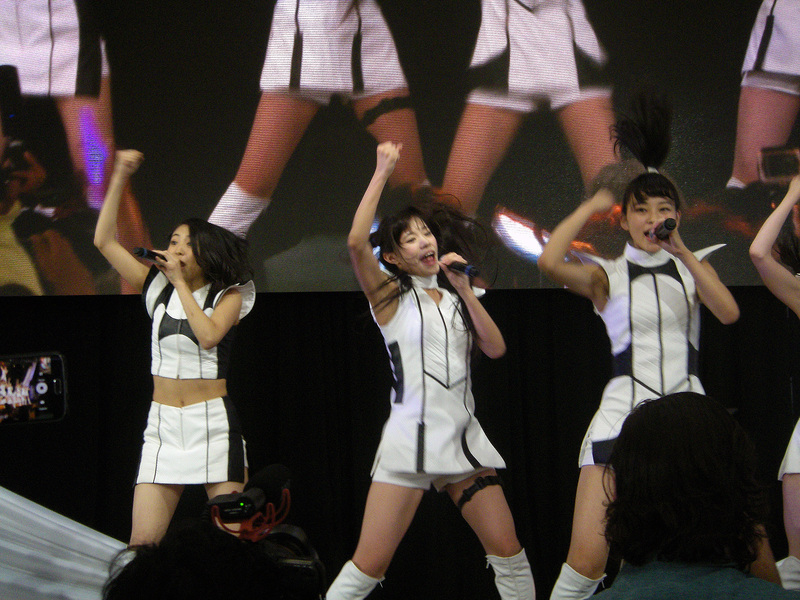 In short, Tokyo Performance Doll captivated the audience at J-Pop Summit and left them wanting more. Of course, that “wanting more” part is particularly troublesome. As hard as the girls worked to win their overseas audience, Sony Music Japan continues to block access to Tokyo Performance Doll’s PV content in the United States. As much as I am hesitant to editorialize my Concert Reports, I cannot help but comment on the wasted opportunity here for a group that many have come to love. With the wild success of Tokyo Performance Doll in San Francisco, one would believe all interested parties would be eager to capitalize and grow the group’s fan base. I hope the newfound fans of TPD continue to support the girls despite the restrictions placed by the machinations of big business. If J-Pop Summit proved anything with this United States debut, it was that Tokyo Performance Doll have much to offer the Western Idol Fandom. Let’s keep the ball rolling! 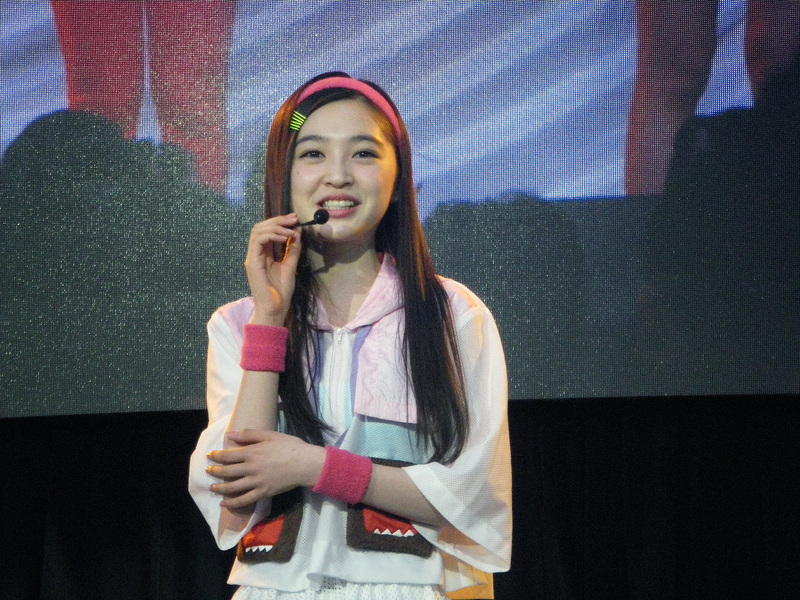 Previous LINKSTAR’s Idol Q&A: Your Ice Cream Personality?